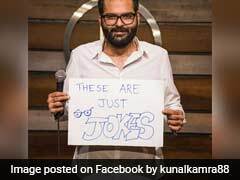 FB description: 5 Times when celebrity trolls made us go ROFL! Sometimes, a bit of light-hearted trolling can be fun, especially when the trolls are celebrities taking out other celebrities. Bollywood's resident madcap Ranveer Singh springs instantly to mind but he's far from the only one. Having your dad on social media is sometimes inconvenient, as Sonam Kapoor found out; and Yuvraj Singh learnt the hard way that trolling your wife can backfire spectacularly. So here's a list of stars hilariously trolling each other we've collated from recent social media events. Hazel wasn't letting that burn pass. In an act of sweet revenge, she posted a selfie in which Yuvraj can be seen taking a nap. She wrote, "Is this selfie sexier because you're in it, Yuvraj Singh?? (I'm scared people will still vote yes) hehehe... Finally, I got a sneaky sleeping selfie of you." Sonam could do worse than take a leaf from sister Rhea's book when dad embarrasses her in public again. During a media interaction at the unveiling of Ensure Dreams Survey 2017, Rhea Kapoor said, in the very presence of her father, "If you're Anil Kapoor's child, you never have that fear of losing hair." She trolled both parents on Instagram once. Chunky Panday's pretty young daughter Ananya, a rising star on social media at least, caught outspoken Farah's attention. "Do a DNA test please," she posted on a picture of Ananya shared by her mother Bhavana - because she's too lovely to be Chunky's daughter, apparently. EMBED Which of these did you find funniest? Let us know in the comments.